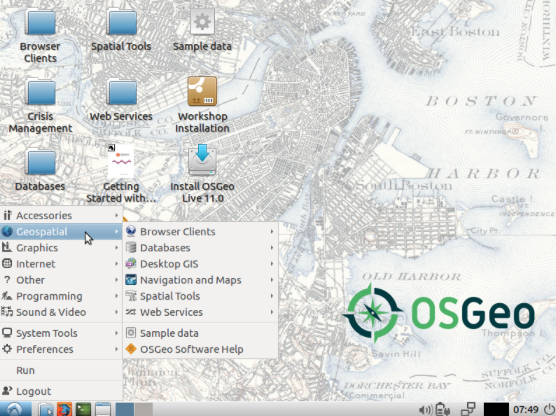 Version 11.0 of the OSGeo-Live GIS software collection ( http://live.osgeo.org ) has been released, ready for FOSS4G 2017 http://2017.foss4g.org/ in Boston, USA. We are very thankful for the efforts of all who have directly helped with OSGeo-Live packaging, documenting and translating, and thousands who have been involved in building the packaged software. There is whole range of excellent software (DesktopGIS, Databases, Webservices etc) available free for the benefit of everyone. This entry was posted in Policy by Suchith Anand. Bookmark the permalink.